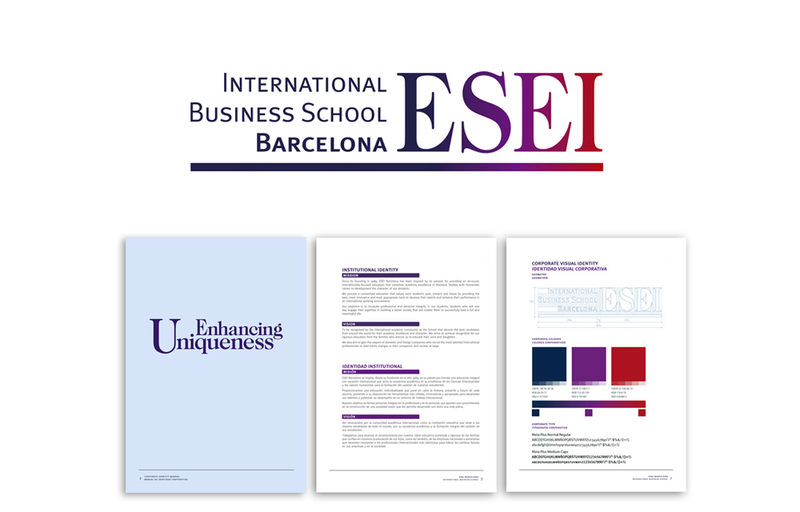 ESEI International Business School, pioneer in offering a personalized education entirely in English, provides students with the most appropriate tools to promote a comprehensive development, both personal and professional, in an international environment. The objective of the project was the school’s rebranding from the visual identity to the concept, express it in the new brand slogan: “Enhancing Uniqueness”, to strengthen and communicate the brand philosophy. 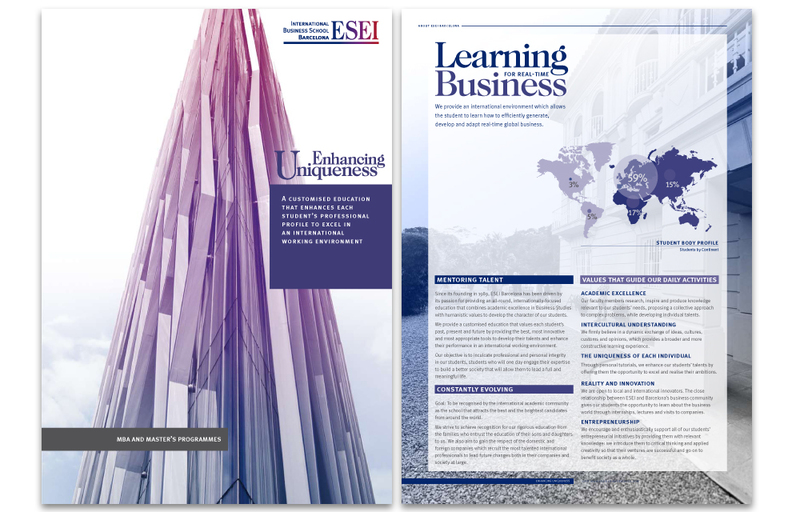 In addition were developed coporate content, graphic design for a brochure and masters dossier, implementation of building’s signage and interactive banners to promote the school abroad. 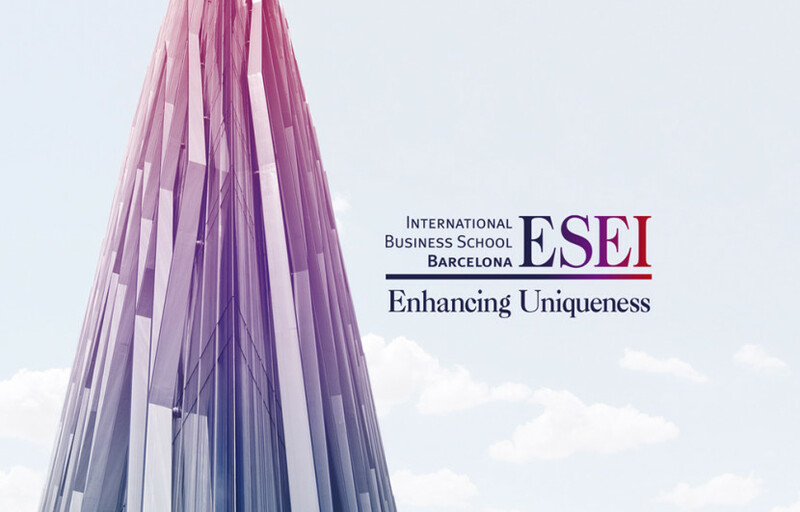 ESEI International Business School is an educational institution that develops the talents of their students so they can have a full and meaningful life. 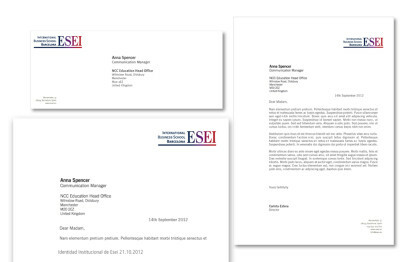 It has been chosen for the new corporate visual identity, the Caslon typography considered the first British typesetting, inked with a gradient of color from dark blue to bright red. This gradient denoted the busines world with blue colour, on the other hand with the red, the passion, life and professional vocation. 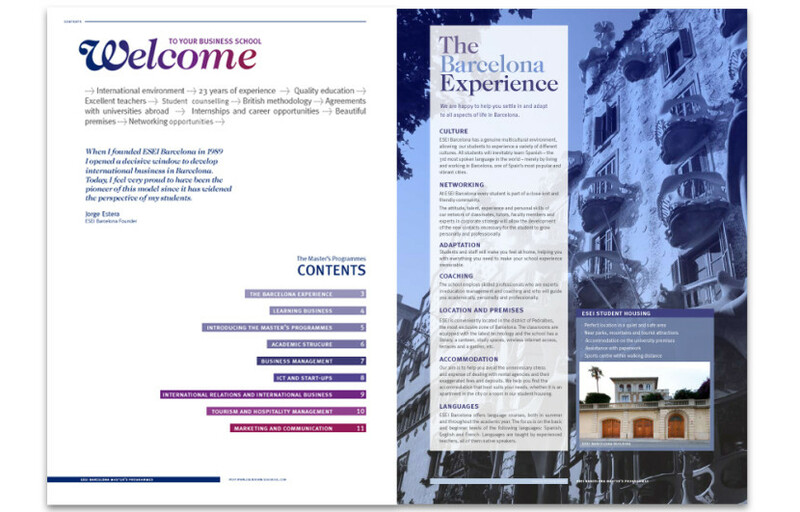 Thus, it exhibits the panoply of opportunities that ESEI Barcelona offers to their students. 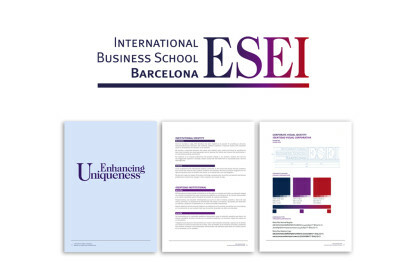 In this way is displayed the panoply of opportunities that ESEI International Business School offers to their students. 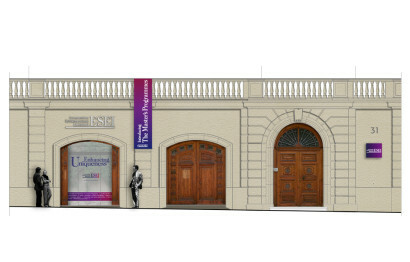 Finally, entire assembly is reinforced with a line that brings solvency, elegance and stability. 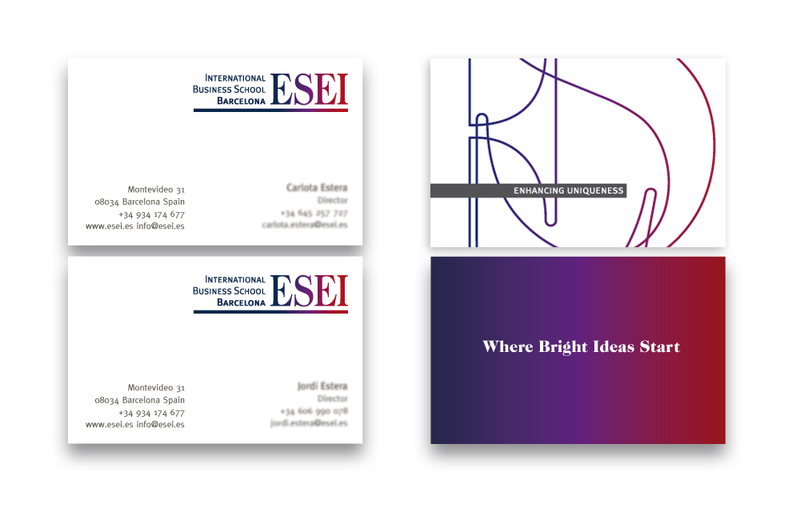 The result is a brand that expresses vitality, energy and joy while connotes prestige and respect. 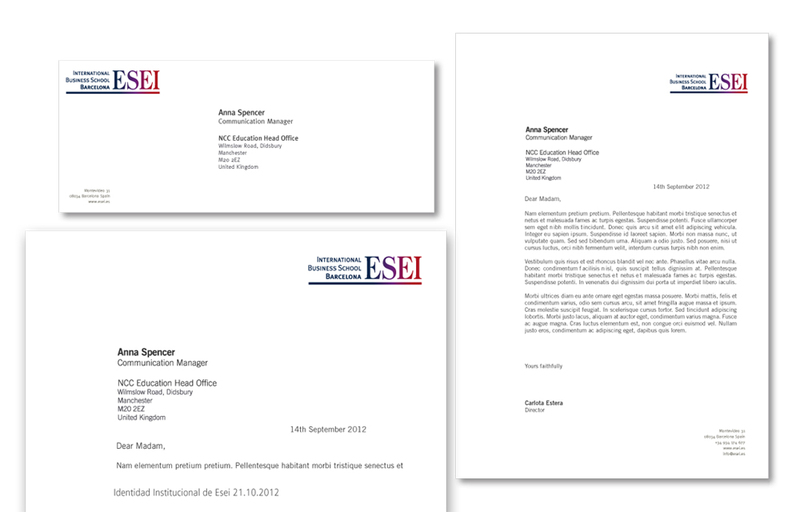 We developed a first stage of defining corporate identity and the brand voice. 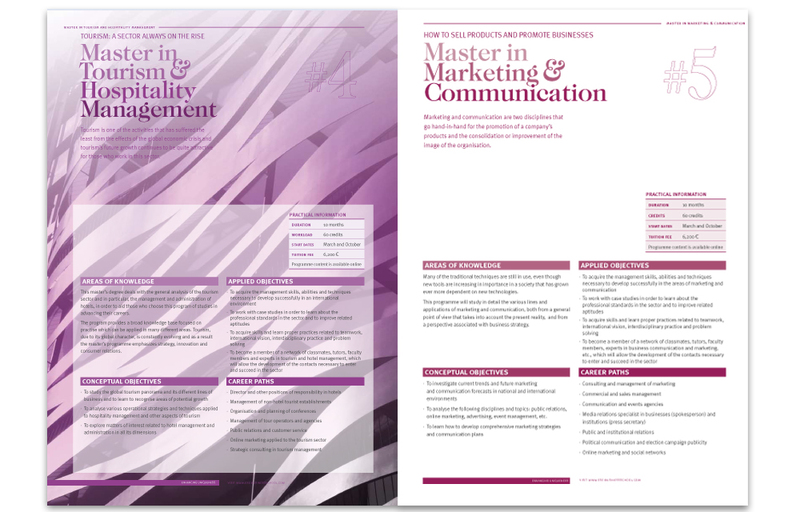 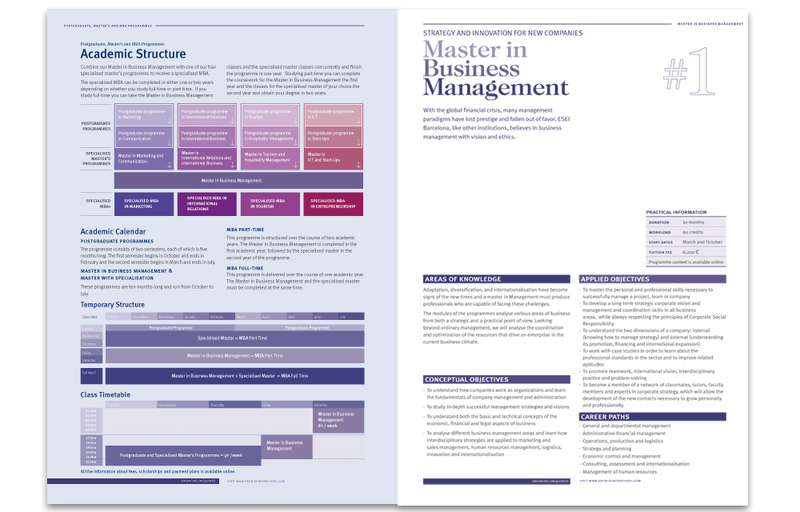 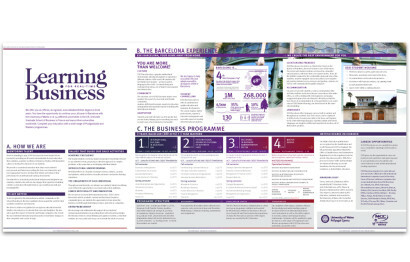 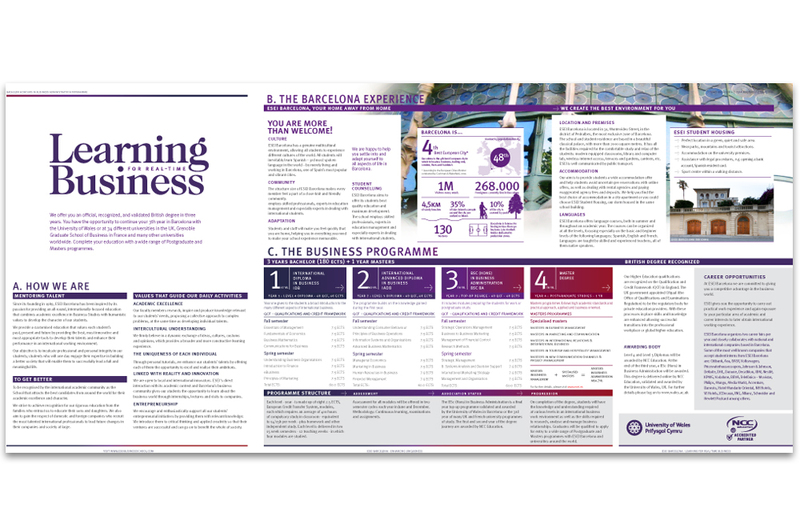 Then we performed artwork and creative copy for an undergraduate degree leaflet, and a Masters brochure. 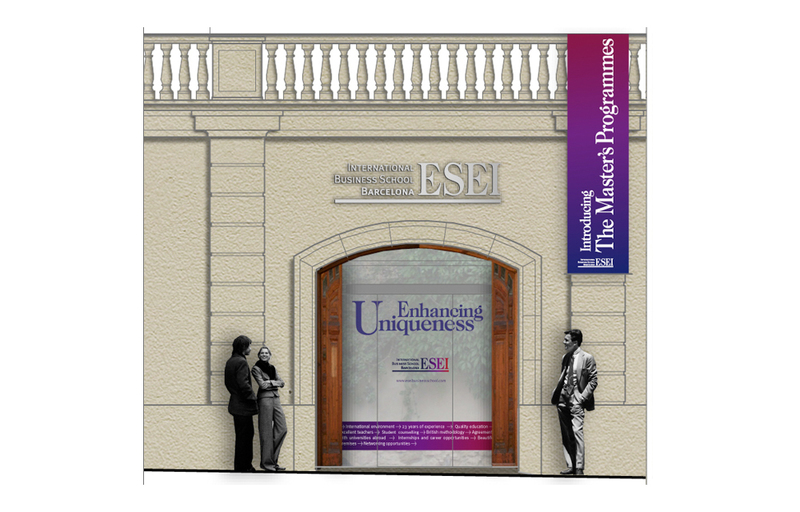 Finally, we designed building’s signage. 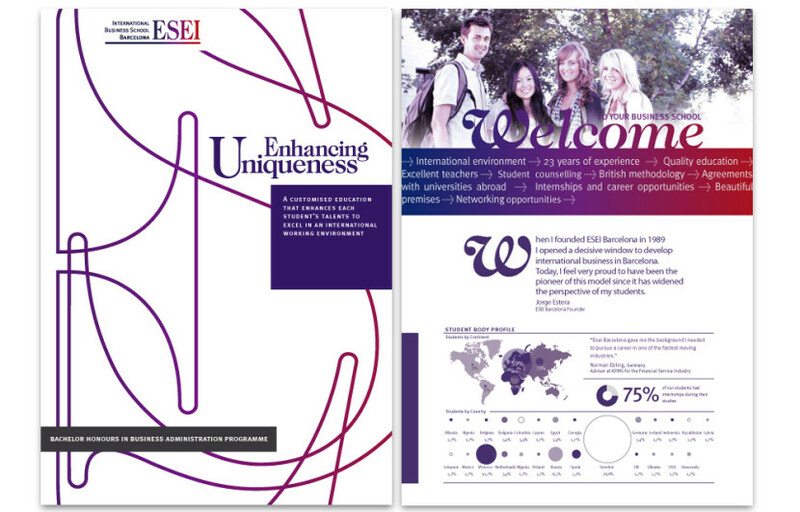 Educational Excellence – Multiculturalism – Humanist Values- Oneness.